Dol Guldur - This tower in Mirkwood Forest became Sauron's abode after Barad-dûr was destroyed at the end of the Second Age. 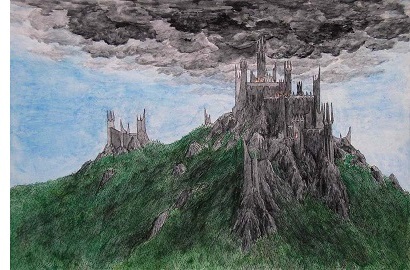 It was known as the "Hill of Sorcery" and Sauron was often referred to as the Necromancer. While he regained his former power, his minions rebuilt his dark tower in Mordor.